Our Childhood Favorite - Tamarind!! Tamarind is our childhood favorite. Here are some health benefits of tamarind which will make you like tamarind all over again! The tamarind fruit is enclosed within a brown pod inside is the pulp which has a sour and acidic taste, as it ripens the pulp gets sweeter. Tamarind is a rich source of fiber, vitamins, potassium, magnesium and other vital nutrients. In Indian cuisines tamarind pulp is used for many traditional recepieslike chutney, sambhar, subji's, soups etc. Apart from tamarind fruit their leaves and flower are used from ages in the ayurvedic medicines. They prove to be beneficial due to their flavanoids content which is anti- inflammatory and helps in pain relief. Tamarind is a good source of a number of B complex vitamins, including thiamine, riboflavin and niacin. Vitamin C content helps in strengthening the immune system and prevents scurvy. It is proven beneficial for a healthy heart due to its fiber and potassium content. Sore throat can also be treated by gargling with tamarind water. Tamarind juice is used as a cleaning agent as it gives an impeccable shine to brass, copper and silver utensils and ornaments. 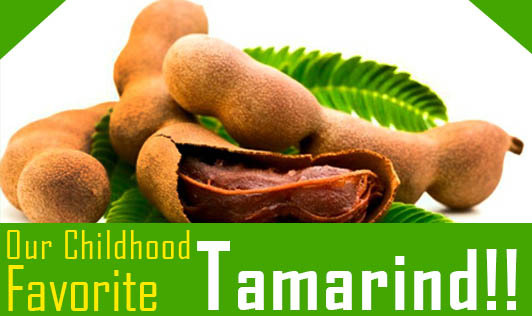 Tamarind seed oil serves as a varnish for wooden toys, dolls, idols. The only disadvantage is that it might lead to acidity in those who have a tendency of acidity. This is not only tangy but healthy too.